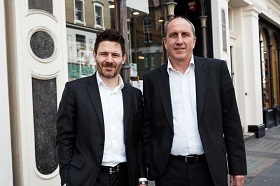 The new publisher, set up in April by hedge fund entrepreneur Jonathan De Montfort, has signed distribution deals with Macmillan Distribution (MDL) in the UK and Consortium, an Ingram Publisher Services LLC brand, in the US, both through an agreement with Global Book Sales. Launched in May, De Montford Literature offers aspiring novelists an alternative route to publication. According to the publisher: 'Unlike traditional publishing models, DML will pay writers a salary (£2,000 per month) to write their novels. Authors also receive a share of the book sale profits. De Montfort said: "Landing MDL and Ingram as our official distributors in the UK and US respectively is a real coup for DML. "Both companies share our passion for great publishing and making books fully accessible to the reader, and having them on board as our distributors will be a tremendous support to what we are trying to achieve. "We can’t wait for the first novels to be published and see them on High Street bookshelves and online stores." De Montford worked in finance before turning to publishing. He started by trading in shares on his own personal account in 2001 before developing computer software to spot opportunities in the markets. In 2004, he embarked on a career as a hedge fund manager in the City, working for companies such as Lehman Brothers, Millennium Capital Partners and Goldman Sachs. He left Goldman’s in 2013 to set up De Montfort Capital, which investss in disruptive businesses, ranging from blockchain to new social media platforms. He is also a keen writer, and has written his first novel, Turner, a supernatural thriller, which will be the first book to be published by De Montfort Literature. DML is currently accepting online applications from authors. Initially it is offering up to ten places, which it expects to increase up to 100. Although no previous experience it is required, applicants will go through a selection process using a series of tests and questions, the answers to which are put in to an algorithm, similar to that used in hedge fund management to predict financial markets, to determine a candidate’s suitability. "When we launched DML in May, we thought we would get a few hundred applications to start with but we have been surprised by the level of interest, with more than 2,000 applications received to date," said De Montfort. "Anyone interested in applying can still do so via the De Montfort Literature website. Existing applications are going through the selection process and successful applicants will proceed to the psychometric testing stage to assess their suitability. Our aim is to have at least two or three authors appointed by October."